This coquina wall is pitted. 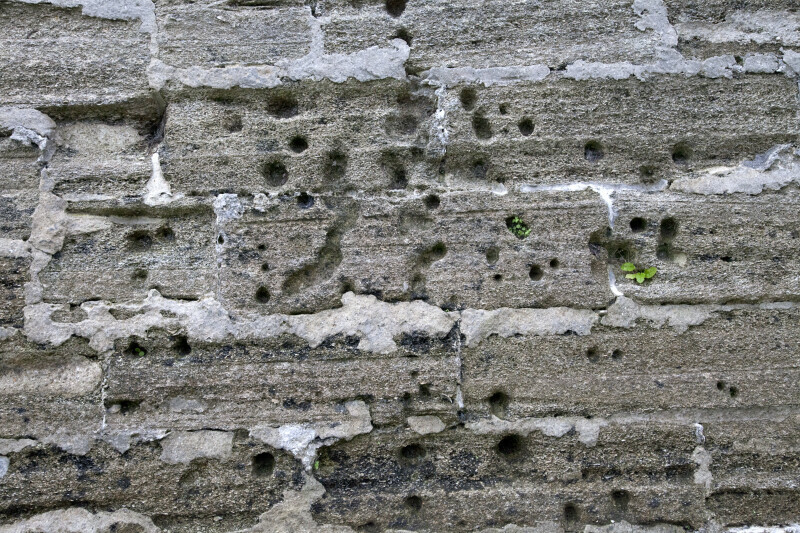 This damage may have been caused by cannon fire. The fort is a National Monument, and is listed on the National Register of Historic Places.